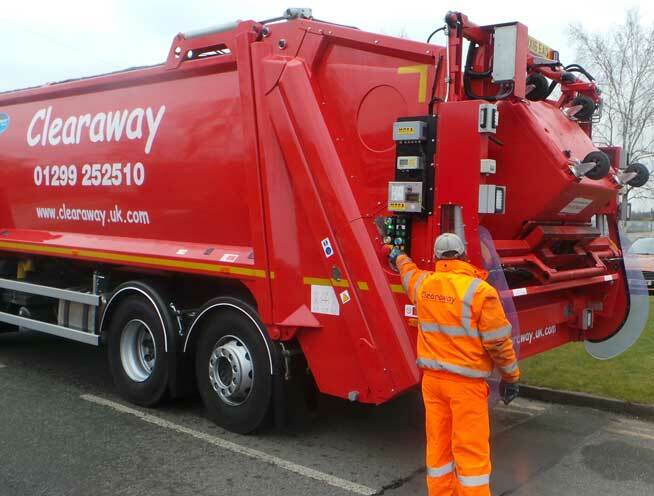 Based in Droitwich, Clearaway provides commercial recycling and waste collections to over 1000 businesses across Worcestershire and the West Midlands. We are a locally owned and managed company who care about delivering cost effective and environmentally compliant waste services for our customers. As legislation continues to place greater obligations on business we are continuing to adapt our services. A new regulation came into effect on 1 January 2015 which places a duty on waste collectors to collect separate fractions of recyclable materials. At Clearaway we provide a mixed recycling, glass and general waste service for our customers. The mixed recycling material is sorted at a high quality Material Recycling Facility (MRF), which meets the TEEP requirements. All that we ask from our customers is that only ‘allowable materials’ are placed in the mixed recycling container. Allowable materials are paper, cardboard, clean soft plastics, cans and plastic drink bottles. It excludes glass and food and definitely no black bags. We do provide separate collections for glass and food waste. This allows a better quality of recycled products to be achieved. If you feel that you can recycle more please contact us at sales@clearaway.uk.com or 01299 252510 and one of our specialist advisors will complete an audit of your wastes and recommend the best option.